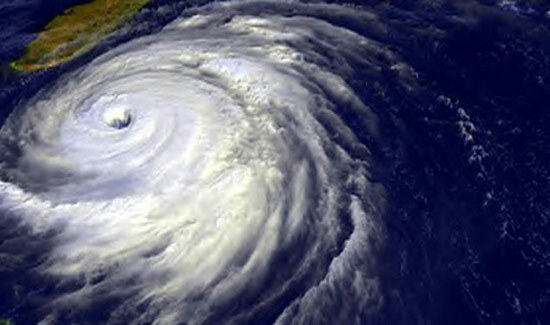 Tropical Storm Rafael is expected to reach hurricane strength in the Atlantic Ocean sometime Monday. 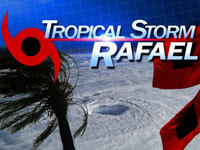 Rafael’s maximum sustained winds are near 70 mph. The storm is centered about 290 miles north of San Juan, Puerto Rico, and is moving north-northwest near 10 mph – away from Florida. The center of the storm is located near latitude 22.5 north, longitude 65.3 west and moving north-northwest near 10 mph. This general motion is expected to continue this morning, followed by a turn toward the north this afternoon or evening. On the forecast track, the center of Rafael will remain well east of the Bahamas today and could approach Bermuda by late Tuesday. 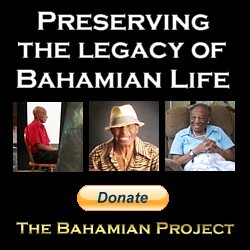 A tropical storm watch is in effect for Bermuda.